Complete the necessary paperwork for you next appointment ahead of time. You may choose to return the forms to our office by mail, fax, or can bring them to our office. 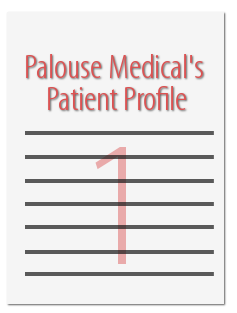 Getting started at Palouse Medical is as easy as 1, 2, 3! Please open each of the following links to download the attached document. Initially completed by ALL new patients, as it allows us to create your patient account. Completed by ALL patients who have experienced a name change or have new contact information. Initially completed by ALL new patients. Completed (often annually) prior to complete physical examinations. In compliance with HIPAA, this notice must be provided to ALL patients. 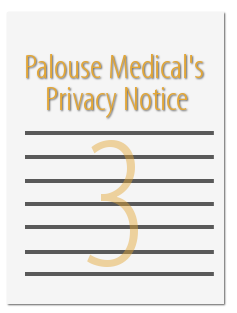 Please read this document prior to signing the privacy notice section on the patient profile. 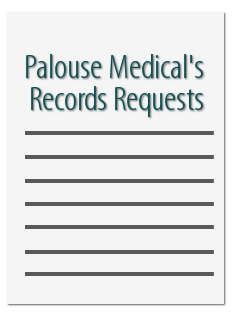 or if you need to send records from Palouse Medical or Pullman ReadyCare. To get started, simply click on the link below and a window with a PDF file containing the authorization you need. This form authorizes us to request or release your medical records or personal health information to a designated individual or an external health care provider. This form can be used for requesting and disclosing protected health information. 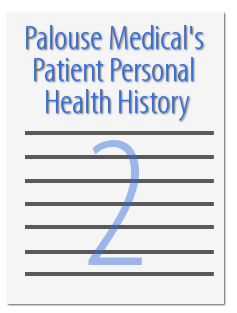 Some individuals use this form to authorize caregivers and loved ones with permission to visit with Palouse Medical to help assist with care needs. Other people use this to ensure that Patient Portal Accounts that are linked (providing access to chart information) and that Palouse Medical has permission to disclose information to one linked account. BEFORE THE REQUEST CAN BE PROCESSED, we must obtain the signature of the individual(s) or legal guardian of the medical records Thank you for understanding and your cooperation. This is Palouse Medical’s general form for patients to complete to receive reimbursement for Over-The-Counter (OTC) medical expenses from flex spending plans. 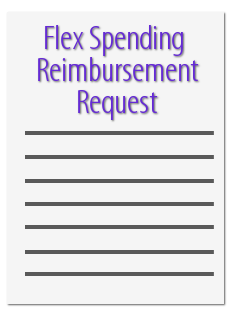 Please check with your Flex Spending Plan administrator to verify that this form will work, as Palouse Medical can not guarantee that they will accept this generic form.